"It's a console game. For consoles. PC's are for spreadsheets." 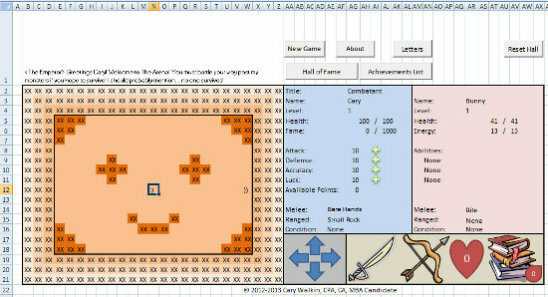 As it just so happens, a spreadsheet is exactly the medium used by accountant Cary Walkin to develop his own game. More specifically, he developed an entire game from the ground up using only Microsoft Excel and a whole host of macros. Titled simply "Arena.Xlsm," the turn-based RPG puts the player into an arena run by an unnamed emperor, where it's implied they're being forced to fight through a series of increasingly-difficult levels populated by increasingly-powerful monsters. The motives of said emperor aren't really explained; all the player knows is that he's not really all that well-liked and that he may or may not be trying to kill the player. Most of this narrative is revealed through the player's wife, Kylem, who sends letters talking about anachronistic subjects such as elementary school and the police. 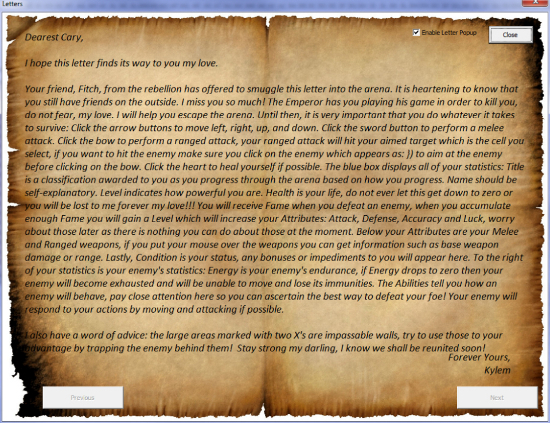 In these letters, Kylem also provides the player with hints and advice about monsters and abilities. There are three main forms of attack in Arena: melee, ranged, and magic. 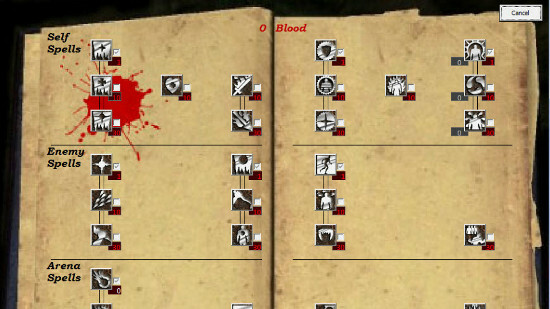 Players can purchase n array of damaging or healing spells using a resource known as "blood," which regenerates each turn, while weapons such as bowling balls, slingshots, and rocks are scattered throughout the game. The entire control scheme, meanwhile, exclusively involves clicking about on-screen. The game, although it's by no means pretty, is fully functional and actually fairly entertaining. Items and enemies are both randomized, and the title features one of four different endings based on how it's played through. "There is an old adage," said Walkin on a Reddit AMA, "that underneath every RPG is a massive spreadsheet, so now that massive spreadsheet is the RPG!" In the same AMA, Walkin explained that his decision to develop within Microsoft Excel was tied to his 'extensive knowledge' of the program; Walkin works as an accountant and developed the title in his spare time, after all. A game like this one is certainly a unique idea - I'm not certain I've heard of anyone developing a title using part of Microsoft Office before. Currently, many users are clamoring for Walkin to release the source code to them, that they may develop their own games. Those of you who may be interested in playing it can download it here.